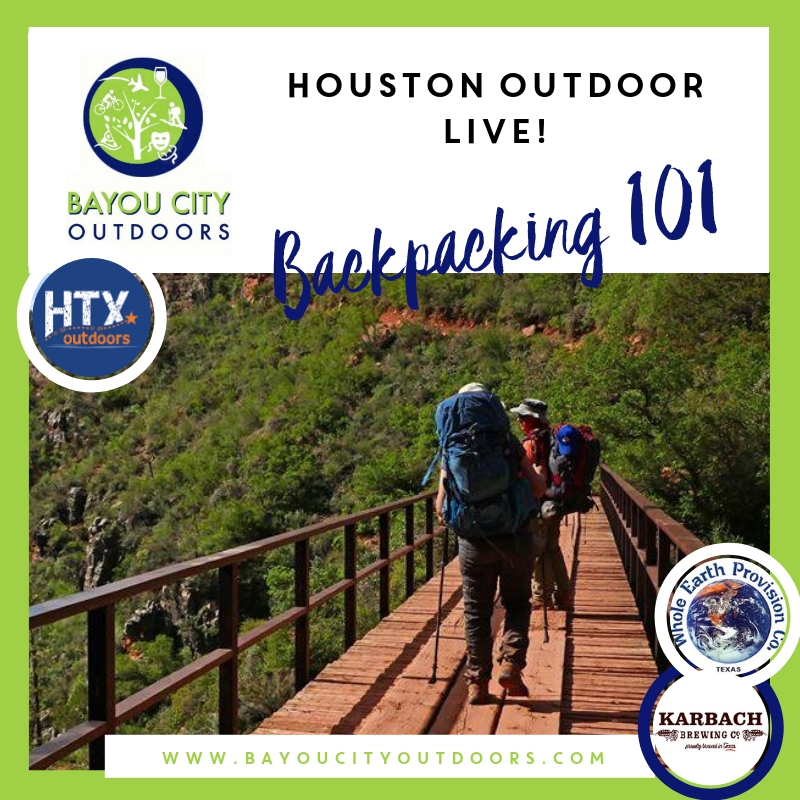 Join us in person for Houston Outdoor LIVE at Whole Earth Provision Co. for a packing demo and weigh-in session to demonstrate live the value of choosing your gear carefully. Can’t make it in person, check us out via Facebook Live (https://www.facebook.com/BayouCityOutdoors ). Both events run simultaneously and you can join the Q&A online or in person. However, you’ll want to join us in person if at all possible because we’re going all on the giveaway this evening compliments of Whole Earth Provision. Plus, we’ll have tasty refreshments provided by Karbach Brewing Co. & snacks too. The giveaway will be held at the end of the presentation. Join us and you'll also be able to download the free “#10Essentials for Backpacking” that evening - we promise to get you backpacking like the best! Everything you need to know, buy, skip, learn and carry in a single, awesome tip sheet. Before you head out on the trail, join us for the evening chat. For additional information, please call 713-524-3567 or e-mail to info@bayoucityoutdoors.com.